One would have thought that Madison Academy had just been visited by a slew of lumber jacks with the amount of planks that were lying around campus today. 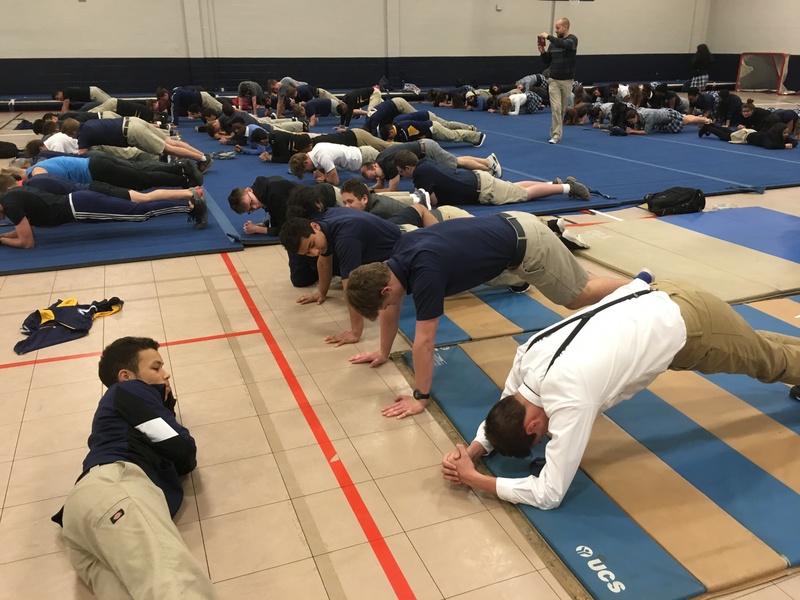 The students at Madison Academy competed in the #MAPlanksgivingChallenge to raise money to fix the Madison Academy’s gym air-circulation system. They were challenged to hold a plank, a position that resembles a high push up position or a push up if you were on your forearms, for three minutes. Nearly half of the Madison Academy students made that goal! Together, along with a number of teachers who completed the challenge too, they raised $953! Once the three-minute mark passed there was still a large group of students and Coach Ley still holding their plank. Finally, after going over five-times the original challenge and Coach Ley dropping out at the 14-minute mark, Connor Collins, junior, won with holding a plank for 15 minutes. 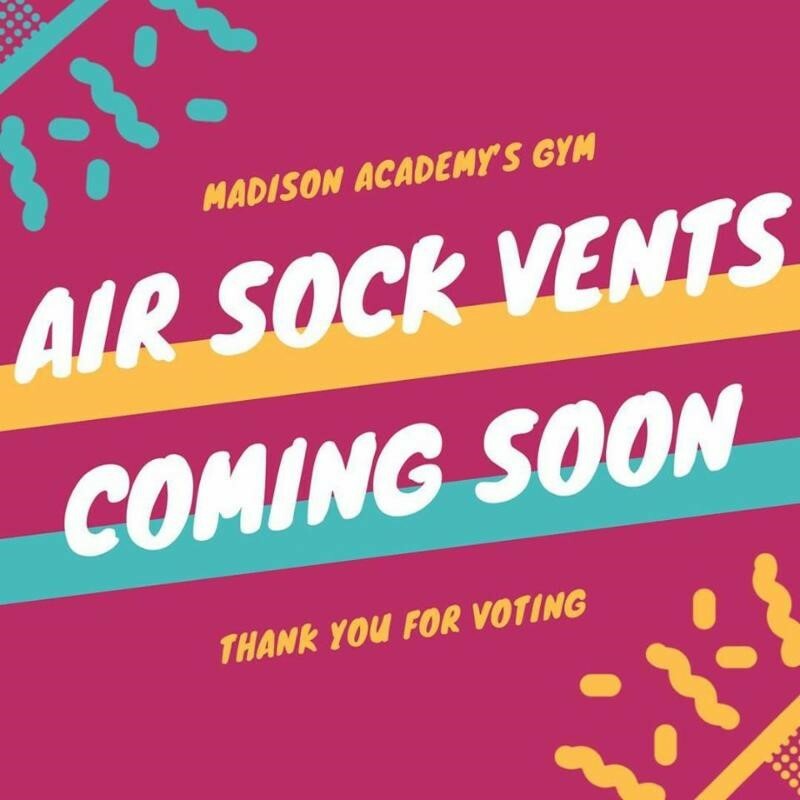 You can watch the competition via Madison Academy’s Facebook page and if you want to join the fun you can give towards the Madison Academy gym air-circulation project tomorrow, November 27, at 7:01 a.m. Yesterday, Madison Academy participated in giving Tuesday for the third time. And it was our best giving Tuesday yet! 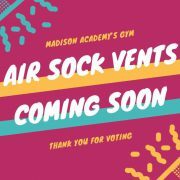 We had over 160 people participate and they raised over $24,000 for our gym air circulation system project. It was so cool to see parents, teachers, and alumni make Facebook fundraising pages to promote this cause. Facebook and PayPal matched gifts to nonprofits up to seven million dollars on Tuesday. Matching started at 7 a.m. Central Time and was done by 8 a.m. Central Time. We hope that a significant portion of gifts made to Madison were matched, but even if they weren’t, it was a great opportunity to see how much our community loves our kids. Freshman taking a biology quiz. Learning doesn’t stop. 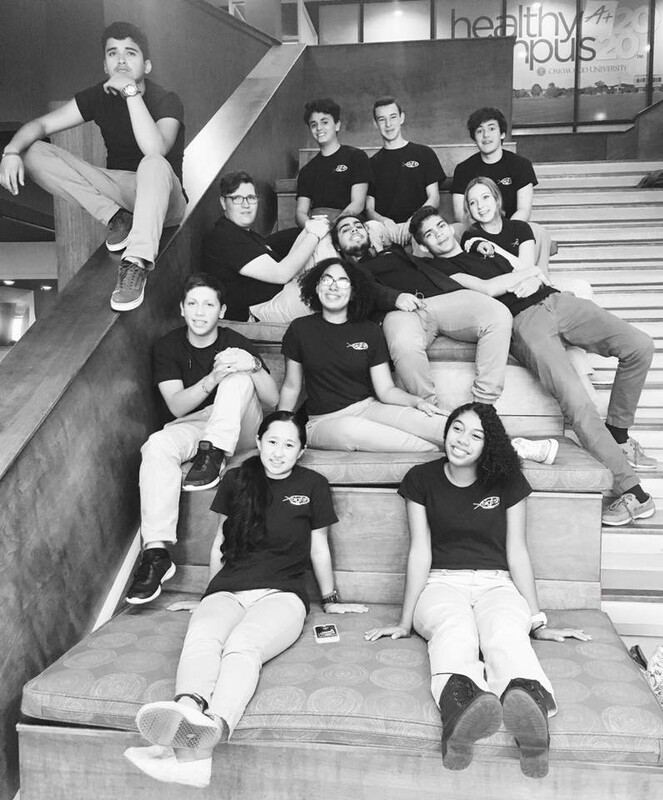 The Acros team traveled to Southwestern Adventist University, November 7-11, to participate in the national Acrofest 2018 and join other academies and colleges/universities teams. 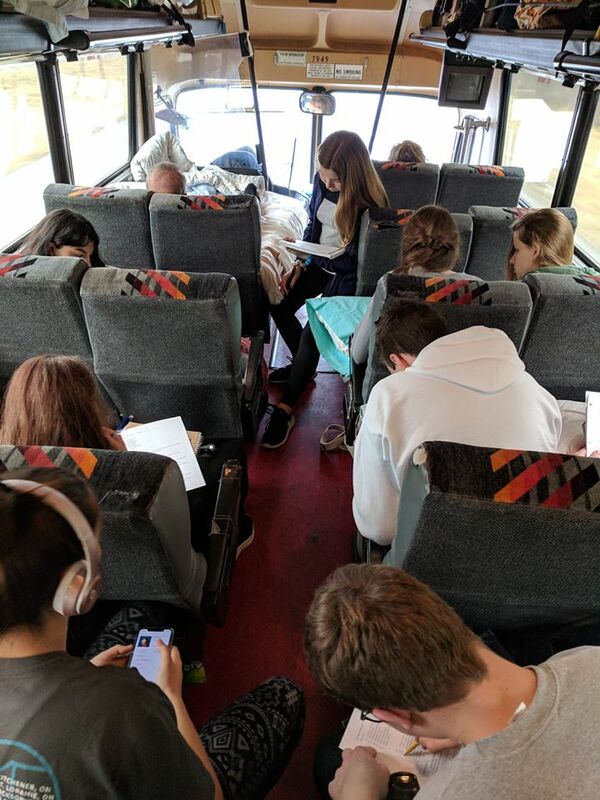 The 30 member team rode the bus to Keene, Texas. It has been five years since the team participated in a national Acrofest. Once there they participated in clinics that helped them learn/perfect gymnastics routines. You can access their schedule here. Antillean University. After supper there was a Showcase Performance followed by Handstand/Butterfly/Etc. Competition. Coach Ley shared the results on his Facebook page: ” 2nd and 3rd in the handstand contest (Ian and Jake), 2nd in the back tuck contest (Jake), 2nd and 3rd in the butterfly contests (Jake, Sara, Marlana and Rosie).” There was free time till worship then lights out at 11pm. Friday was more practice in the morning however teams performed at local schools in the afternoon. Madison Academy was part of the program at Keene Public Elementary along with Union College, Sunnydale Academy, Georgia-Cumberland Academy and Peterson’s. Participants were able to relax at vespers and afterglow and then lights out again at 11 pm. On the final day the team went to church that featured Pastor Michael Gibson. At sundown the teams again came together to worship, lead by Pastor Russ Laughlin, before the evenings performance. 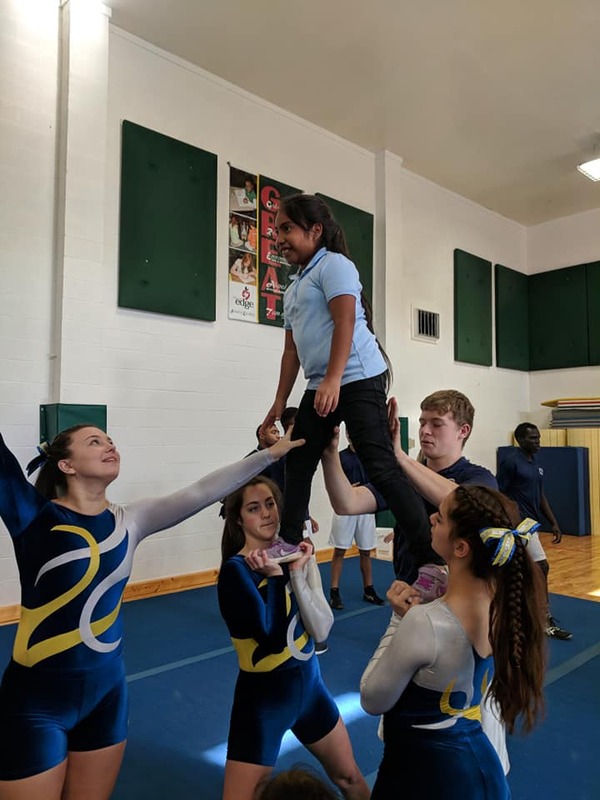 The culmination of all that hard work was shown at the Saturday night performances from many of the academy’s gymnastic teams and Southwestern Adventist Gymnastics. Madison Academy Acros were placed three spots before the Southwestern Adventist Gym Team finale. Here is a link for the entire show. The Madison Academy Acros part is here. If you would like to support the Acros team, businesses can purchase banners with their names/logos or be placed on the back of the team’s t-shirts for this year. Contact Coach Ley if you are interested is supporting this organization. 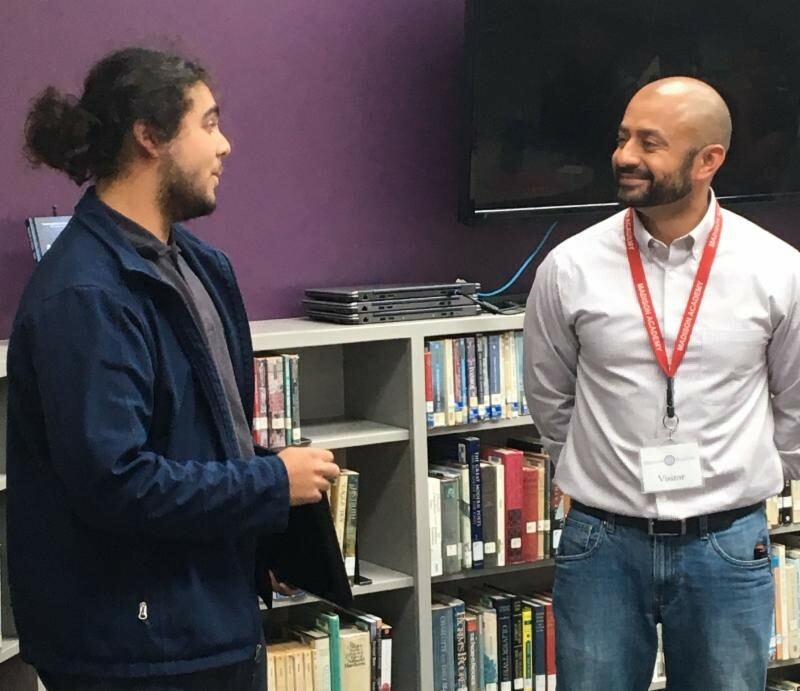 Mr. Abner Fuentes, a Project Manager,(and Austin’s dad), shared his expertise and experience with first impressions, hardy handshakes, eye contact, and elevator pitches. The seniors then practiced their “elevator ride” while engaging in conversation with Mr. Fuentes (pictured with William Buzby). Following encouraging applause for student, the class gave honest, helpful critique. 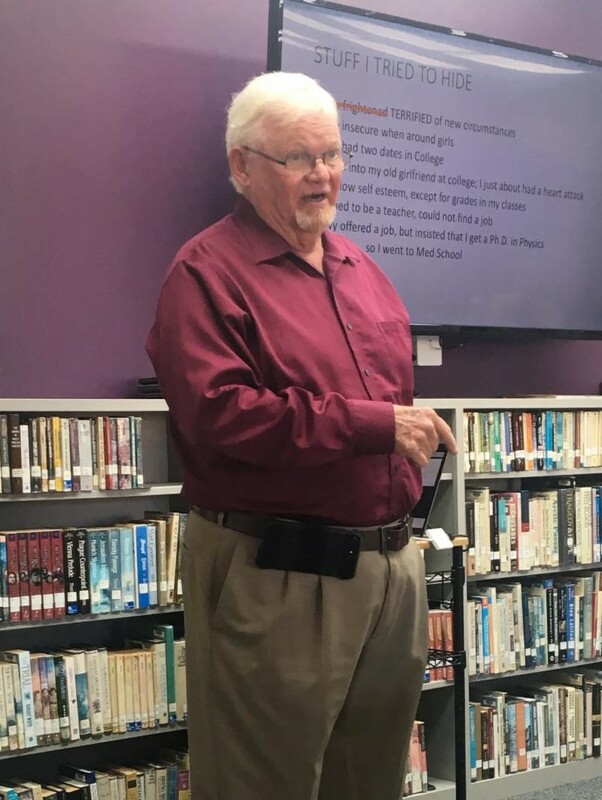 We are blessed to have a safe environment for students to learn and rehearse the “soft skills” that will make them successful in college and career. On Monday, the Acros performed during the Long Hollow Baptist Church program for 6th graders in Sumner County that promotes healthy lifestyles and making good choices. This is the third year the team was invited to participate. During their rotation our 30-person Acros team gives a performance and shares anti-drug skits with the audience. The audience is then asked to participate and given drunk googles. They are asked to do some simple activities made harder because of the googles. The Acros team believes that with a healthy lifestyle more can can be accomplished. 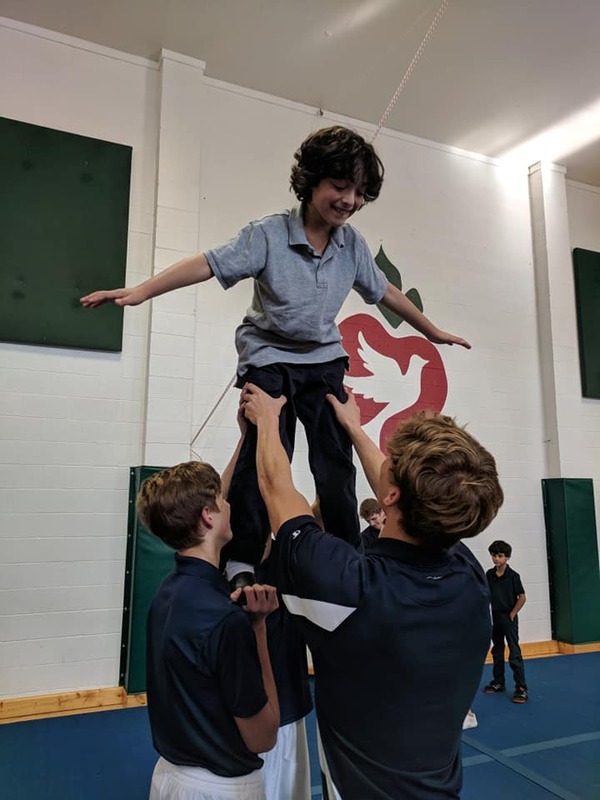 some clinic work — where members of the Acros team help develop the gymnastics skills of the students. This year we have 46 MA students heading out to Manchester, KY to serve the community. Add in the staff, parents, a group from Highland Academy and one student from Spring Valley Academy and we will have over 80 ready to make a difference in Manchester! We will be staying in a local community center with 4 showers and nothing to lay down on but the floor in which we walk on. However, that is all part of the mission experience! Students and adults will be well fed as we have a top notch chef from Georgia making some gourmet meals. Volunteers will be building an addition on to a house, building a playground, gutting and renovating another and hanging drywall in another home, among other things. Each team of about 15 participants, will have two days to complete their tasks and give the homes/schoolyard a fresh makeover. We will end the trip with Sabbath, and after the hard work, a day of rest and worship will be a welcome relief.